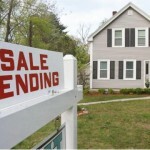 Pending home sales were flat in September and that was the highlight of the report. The index is at its lowest level since 1/15, and has declined Y-o-Y in five of the last six months. Moreover, in the Northeast the index is down 2.4% Y-o-Y, and is down 2.5% Y-o-Y in the Midwest. In the South, pending sales are off 5% Y-o-Y, and out West they are 2.9% weaker Y-o-Y.